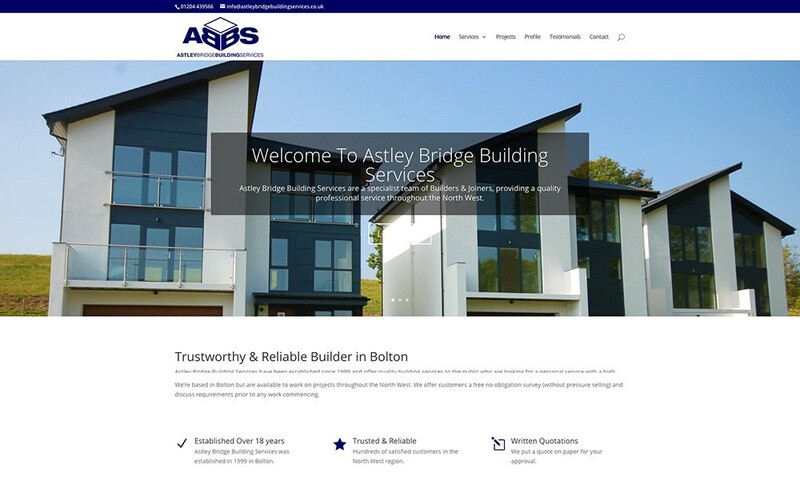 Astley Bridge Building Services have been established since 1999 and offer quality building services to the public who are looking for a personal service with a high attention to detail. We’re a small independent builders but have the experience and knowledge that you’d expect from a larger national company. We’re based in Bolton but are available to work on projects throughout the North West. We offer customers a free no obligation survey (without pressure selling) and discuss requirements prior to any work commencing.